There is plenty to be hopeful for in respiratory research funding in 2017, says British Lung Foundation’s Ian Jarrold. In the wake of June 2016’s European Union (EU) referendum result and Brexit decision, the Association of Medical Research Charities (AMRC) announced that the UK health and medical research community intended ‘to remain as partners and collaborators with the European Union and its Members States to advance our knowledge and understanding of health’. And, as the UK is the fourth-largest recipient of funding from the EU for medical research, we need to get it right. It is not only funding that is at stake; the exchange of expertise is also crucial in this equation. Although the government has made welcome assurances that it will honour funding for EU programmes in the UK until 2020, such as Horizon 2020, and HM Treasury guaranteed to back any EU-funded project that was signed before the 2016 Autumn Statement, this uncertainty over the future relationship between EU and UK science is worrying the UK research base, according to a House of Lords report published in December. Without doubt, a flourishing, thriving research environment has seen the UK become one of the most desirable locations for researchers from around the globe to learn and establish their careers, many of them putting down more permanent roots. It is this international collaboration that is the key to progress in science and medicine. Time and time again, this results in new breakthroughs. For decades, researchers have enjoyed the benefits of travelling abroad to learn new skills and research techniques, and then brought these home to develop their own research endeavours. This is particularly evident in respiratory disease, where the UK joins with mainland European researchers to collaborate, compare data and research outcomes. At the September 2016 European Respiratory Society conference, for example, many projects involved such working. 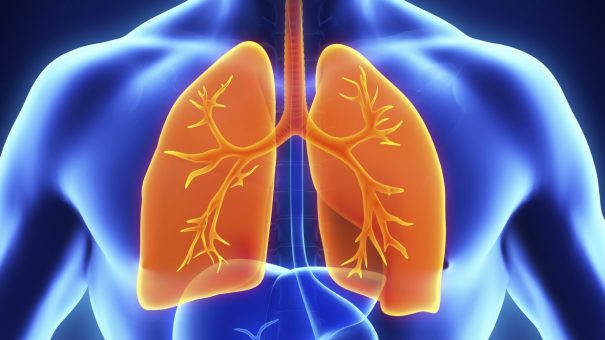 Among them was PROactive, developing patient-reported outcome (PRO) measures for people living with chronic obstructive pulmonary disease (COPD), plus U-BIOPRED, which has uncovered a number of subtypes of severe asthma. UK partners made a vital contribution to these pan-European projects, collaborating and using funding across the EU to further respiratory research. Collaboration is good, but funding is still an issue. In the UK, as in the EU, research funding for respiratory disease has long been the Cinderella of the research world, with big money going to cardiovascular, non-respiratory cancer and medicines to reduce the impact of health complications causing cardiovascular disease. But, with one-in-five people diagnosed with a respiratory disease in the UK alone[i], many more than previously thought, we are now beginning to count the wider economic burden placed on society by poor respiratory health. As diagnosis becomes more effective, and the population ages, we’re likely to see an increase in the numbers affected. There is a marked disparity in research spend, both in absolute terms and, more tellingly, in relation to disease burden (AMRC 2014). If we are going to transform the prevention and treatment of lung disease, this needs to change. However, despite being the poor relation, in terms of funding, respiratory research in the UK is both exciting and world leading. Government, businesses and charities are working together to support and pioneer new interventions to improve the lives of people with respiratory disease. The significant advances have been made possible thanks to the considerable backing for medical research provided by health and medical research charities. According to the AMRC, 2014 saw £1.3 billion invested in research in the UK, the financing of capital projects worth £111 million, and the funding of salaries for at least 12,000 researchers. This has led to some exciting progress in respiratory research in recent years, not least in mesothelioma, a cancer caused mainly by exposure to asbestos dust. Not only are survival rates past one year increasing, according to the Royal College of Physicians, but huge advances have been witnessed in pathological subtyping, research for new treatments, access to clinical data and improved treatment pathways. This level of progress will only be bolstered by the creation of the National Mesothelioma Centre. Supported by a £5 million government grant, and matched by a pledge from The Victor Dahdaleh Foundation to the British Lung Foundation (BLF) in November 2016, this funding allows BLF to establish a Mesothelioma Research Network, bringing together the UK’s mesothelioma research community to ensure that research efforts lead to rapid improvements for patients. Momentum of this ilk is also visible in the field of idiopathic pulmonary fibrosis (IPF), with a number of research groups across the UK focusing on this area and using their improved understanding to develop new treatments and preventions, while other projects are in the pipeline for the treatment of pneumonia, as well as examining cognitive impairment in people with COPD. Full results from these studies are expected in the coming months. Our hope is that greater awareness will focus more attention on the need for research to improve life and life expectancy for people living with a lung condition. The awareness should also increase interest from other funders, and hopefully provide a brighter future for respiratory research in the UK. Above all, we need to remember that research projects like these thrive on the exchange of information, on collaboration beyond international borders. The best minds should be free to work together, regardless of constraints of geography. It would be a tragedy to UK medical research, and indeed to global science, if movement like this is made more difficult. 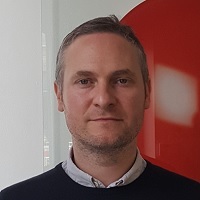 Ian Jarrold is Head of Research at British Lung Foundation, responsible for all aspects of the charity’s research support. This includes overseeing research strategy, managing the allocation of funds to UK researchers and gathering information on the outcomes.